Maldives and friends make for that impressive combination. Even though people connect the Maldives to honeymoons or couple getaways but it sure is excellent fun to be here with friends. There are a plethora of adventure spots and sports that you could enjoy with your friends. There is no doubt that the Maldives is honeymooner’s paradise, but it is simply ideal for groups and friends who are looking for adventure. Look for a grand tour package and a fantastic lodging experience in the most sought after Maldives vacation rentals. This is your chance to escape in the tropical paradise of the Maldives surrounded by warm, gauzy waters and spotless white beaches. You can snorkel in the clear waters and sunbathe on the glorious beaches or windsurf on the untamed waves. You are sure to get ample opportunities to click Instagram worthy pictures. 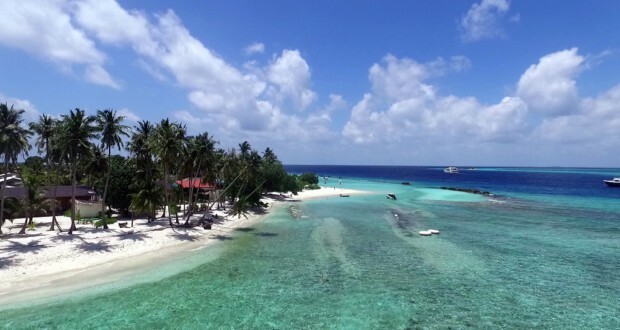 Here are some great ideas and tips for those visiting the Maldives with their friends. Holidaying in the Maldives need not be expensive if traveling with friends. You can plan a customised package that includes stays and sports that would suit your budget. To begin with look for cheaper flights and accommodations. One can look for rental apartments or choose to stay in a guesthouse. Maldivian government encourages local guesthouses and restaurants to open and thus one will come across a wide range of guesthouses, home-stays, and hotels popping up everywhere! The accommodation options are getting becoming more affordable with tourism gaining traction. Use Public ferries and cargo ships for travel. You can always stay on a local island, and there are indeed so many other islands to check out. This is your chance to experience a slice of Maldivian life. Avoid expensive restaurants and eat like a local. You will mainly get fish and curry with coconut. The Maldives is a destination not just for couples and honeymooners but for everyone. There is an endless list of activities that one can enjoy here regardless of age and interests. You are sure never to get bored. It is a wrong notion that the Maldives is just for the rich and for the coupes. Just about anyone can holiday here, and it is absolutely unreachable to an average person. There are an abundance of places to relax amidst the hundreds of islands. There are endless white sand beaches and blue ocean on each island. You can enjoy them without any inhibitions at those secluded beaches with your friends. The weather is perfect for beach holidays with an abundance of luxury. Nothing compares with the sheer beauty of Maldives and it is quite overwhelming to see the abundance of atolls and the deep blue waters. With a vast number of islands and the collection of them clubbed together offer one the best way to enjoy the natural beauty. As those islands are well connected to each other, one can quickly hop from one to another. Explore those islands and enjoy countless adventures and experiences. Those islands are perfect for sunbathing, swimming and pure relaxation. You can speedboat to the nearby islands of surrounding atolls. 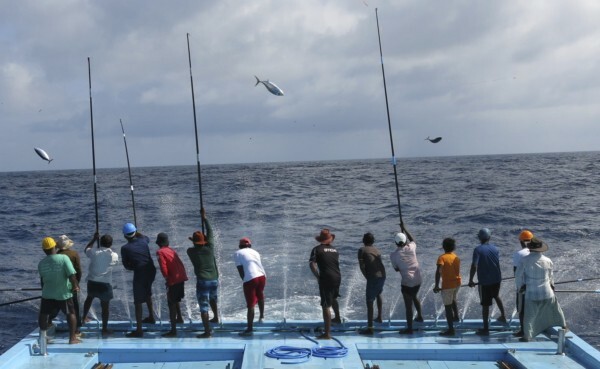 Majority of Maldives swarms with veritable academies of fish and that makes it just the perfect destination for fishing. Although this is a pricey sport, you can offset the costs by giving your catch to the resort chef to cook at the end of the day. It is indeed a great experience to fish against a suitably stunning backdrop under the guidance of a highly enthusiastic crew. Devoted game-fishers should check out the different options and equipment available. There is no dearth of water-related activities, thanks to those multitudes of serene islands. Located in the Indian Ocean, the resort islands offer various reefs that provide ample opportunities for kayaking, canoeing, and snorkelling. Explore the famous sites like Banana Reef, Fish Head sites, and White Whale Submarine to enjoy the diverse marine life. You can go dolphin watching and snorkel each day. The Maldives is well-known for its stingrays, sea turtles and whale sharks. Thanks to the crystal clear blue waters, there is incredible visibility in the warm and inviting waters. The Maldives has become a top location for friends and families looking forward to the world’s best cuisines. There are Italian dishes and gourmet delicacies prepared by the best chefs. You can enjoy mouth-watering sea-food available at every street corner. This is the best way to get an authentic Maldivian experience. Most of the locals cook for themselves, so there are fewer restaurants, but there are plenty of guesthouses that serve food. One can enjoy curried fish, rice, and other local delicacies here. If you are looking for an ultimate spa experience, then get away from the hustle-bustle of city life and head for the spa resorts that are indeed unique experienced staff. Here, you will get a treatment that is not be and. Those purification treatments and luxurious facials are sure to rejuvenate your body and mind. The Maldives offers a remarkable shopping experience especially for those looking for original souvenirs. The locally woven mats “thudu kuna” are a great favourite. There are several tourist-oriented shops clustered together, and one will come across a broader selection at the airport. You can shop for unique designer jewellery and similar items at the resort boutiques.